Conscious of mounting student debt in Texas, the state's Higher Education Coordinating Board announced a change this week that it hopes could alleviate some of the financial pressure on students borrowing to finance their education. The board approved a significant reduction in the loan-processing fee for the College Access Loan program, the state's main offering to students looking to borrow. Borrowers previously paid a 3 or 5 percent "origination" fee — hundreds of dollars — but now most will pay zero percent. The board also announced that it would lower the minimum credit score required to qualify for the program so more students could take advantage of it. “Thanks to the prudent management of our College Access Loan program, we are able to increase loan access to more Texas students while helping to save them money,” Texas Higher Education Commissioner Raymund Paredes said in a statement. While this may be good news to some students, the overall dent it is likely to make in the state’s growing student debt is small. But it’s part of an effort on the part of state policymakers to begin tackling the issue. 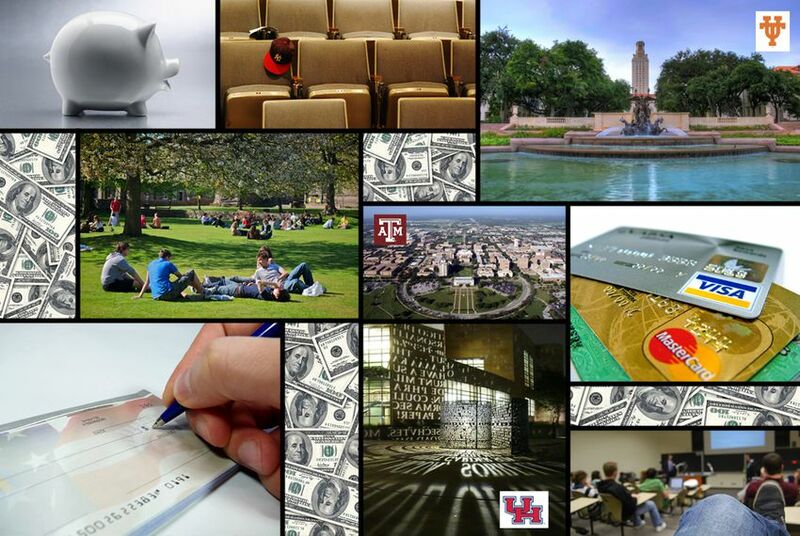 According to a recent report by TG, a Texas nonprofit that provides support services for the financial aid process, Texans hold about $70 billion of the roughly $1.2 trillion in outstanding student loan debt nationally. Among those, he said, is Texans’ disproportionate reliance on federal financial aid and loans — as opposed to grants — to pay for college. While students nationally receive about three-quarters of their financial aid from the federal government, in Texas the rate is about 84 percent. And while loans make up about half of financial aid nationally, they account for about 62 percent of the aid in Texas, Webster found. The low-interest College Access Loan offered by the coordinating board is an alternative loan that students are typically advised to seek when they have exhausted other options, including federal loans, but still cannot afford to attend college. Another one of the problems in Texas, Webster said, is that students don’t adequately understand their options due to a lack of financial literacy. He said increasing student loan counseling would be key. TG and the coordinating board are in the early stages of teaming up to create a pilot program to provide individualized attention to students who are more likely to default on their student loans. The pilot program is a requirement of Senate Bill 680 by state Sen. Royce West, D-Dallas, which passed during the last legislative session. The hope is that best practices gleaned from the program will be applied statewide upon the conclusion of the pilot in 2020. “Texas needs to encourage higher education students to be informed consumers,” West said in an author’s statement provided to the Senate Research Center. Webster also cited an uncertain job market for young workers and the rising cost of college as reasons for mounting student debt. He noted in his report that student loan default rates are on the rise in Texas. Alonzo said the board's efforts, in partnership with the Texas attorney general’s office, to improve loan collection and a successful effort to lower the default rate for the College Access Loan have both played an important role in allowing the board to make the product more affordable. “All of the things that are trending are trending positive, and it allows us to look at our financials and say we can pass those trends on to the students and make those loans available to the students at a lower rate than they’ll get elsewhere,” Alonzo said. According to data provided by the coordinating board, more than 8,000 College Access Loans were awarded in fiscal year 2013, and the average award amount was nearly $12,500. So far in fiscal year 2014, more than 6,900 hundred loans have been issued, and the average amount has been slightly more than $13,450. The money for the loan program comes from bonds approved by Texas voters. The last time they were on the ballot was in 2011, when voters also increased the limit the coordinating board could loan each year from $125 million to $350 million. Paredes said there is $194 million available for the upcoming school year through the program. “Our goal is to make higher education more accessible and affordable for Texas students as they pursue education and training beyond high school,” he said. Disclosure: TG was a corporate sponsor of The Texas Tribune in 2011. A complete list of Texas Tribune donors and sponsors can be viewed here.